Drawing from the Harry Potter books and movies, the new collection, which will set you back $4 each, includes minifigure versions of Ron, Hermione, and Harry in school robes, Draco in Quidditch robes, Dumbledore, Luna Lovegood, Neville Longbottom, Cho Chang, Dean Thomas, Lord Voldemort, Dobby, Cedric Diggory, Mad-Eye Moody, Professors Trelawney and Flitwick, and an alternate, but no less fabulous version of Potter in pajamas and his flashy invisibility cloak. 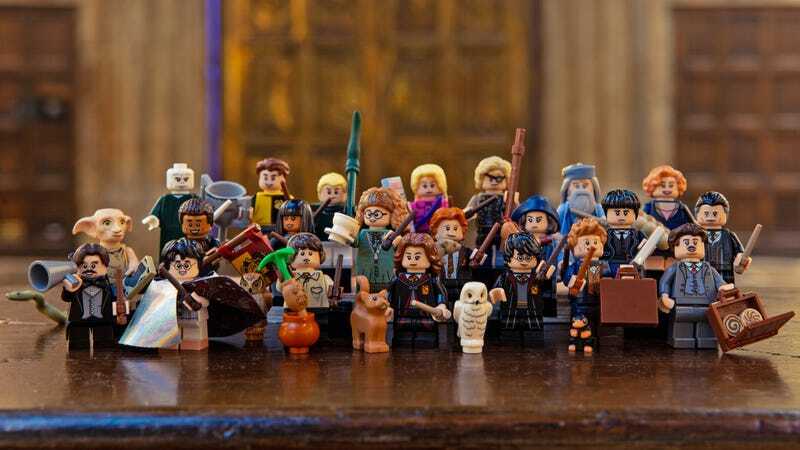 And with Fantastic Beasts: The Crimes of Grindelwald hitting theaters later this year, Lego’s also included lesser-known characters (at least for now) like Newt Scamander, Jacob Kowalski, Tina and Queenie Goldstein, Credence Barebone, and Percival Graves in this new collection. The lack of Jude Law’s younger, slicker Dumbledore is disappointing, but there’s undoubtedly more Crimes of Grindelwald sets en route later this year.